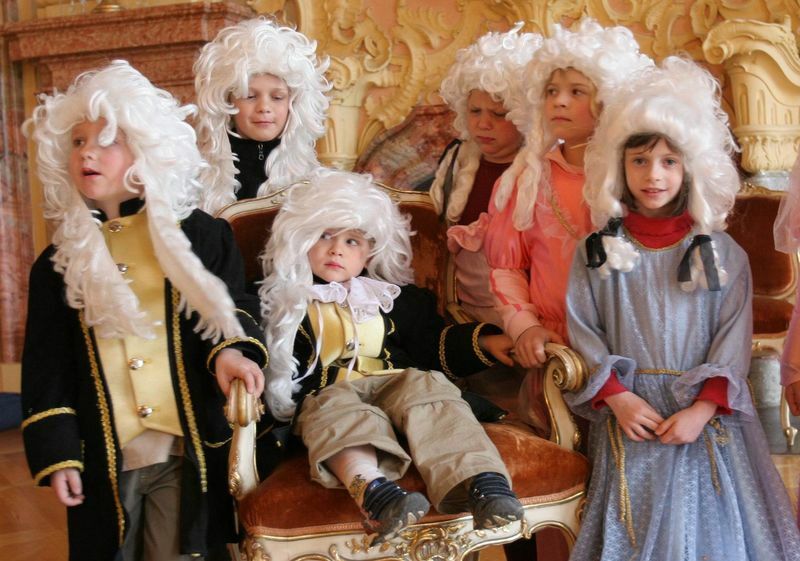 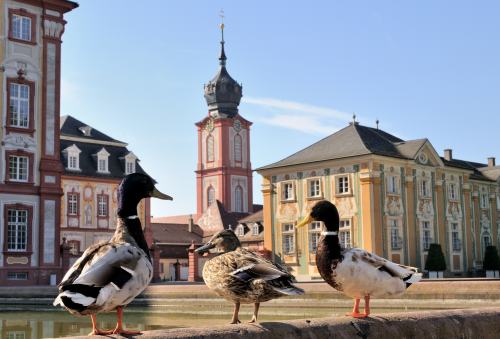 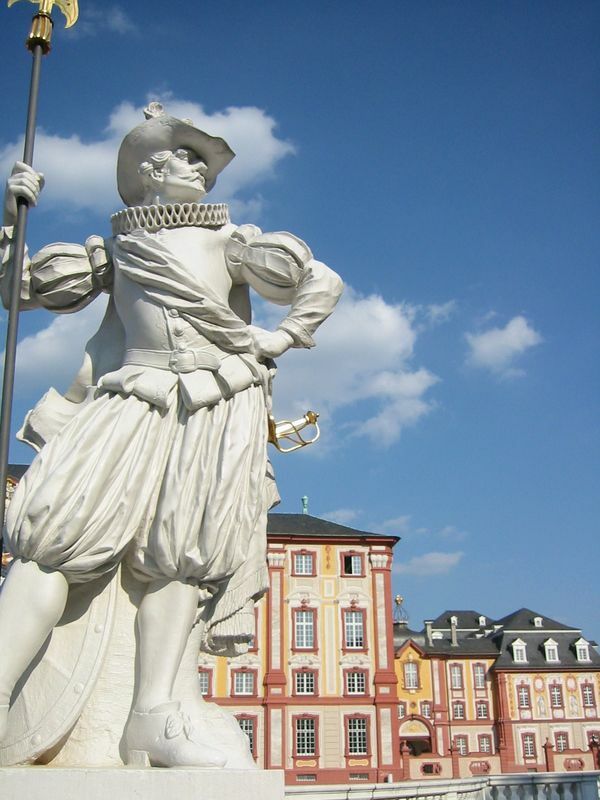 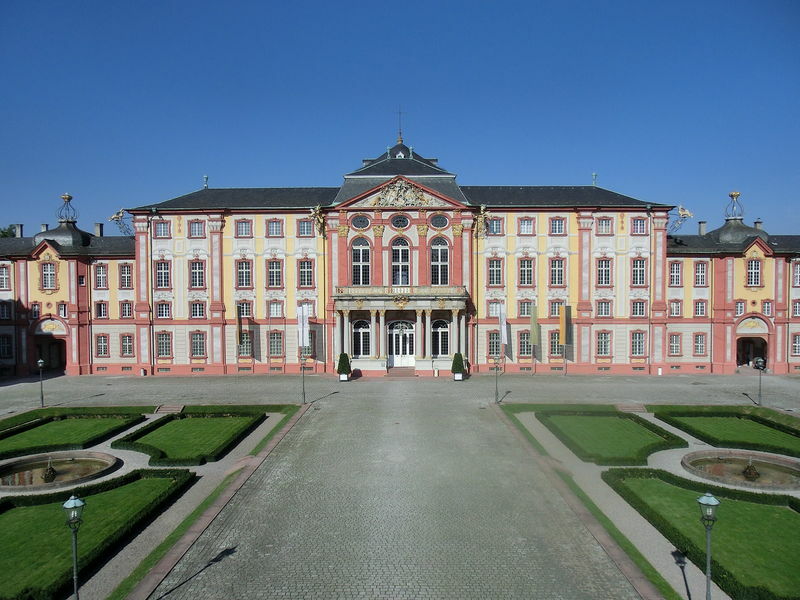 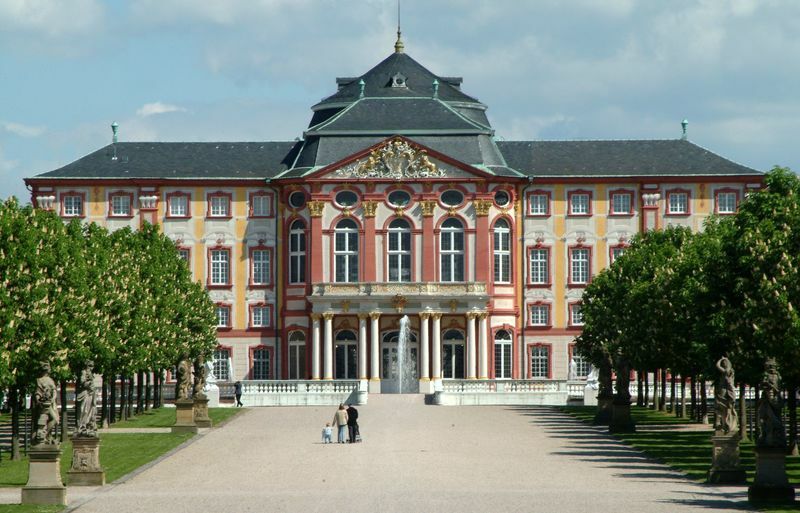 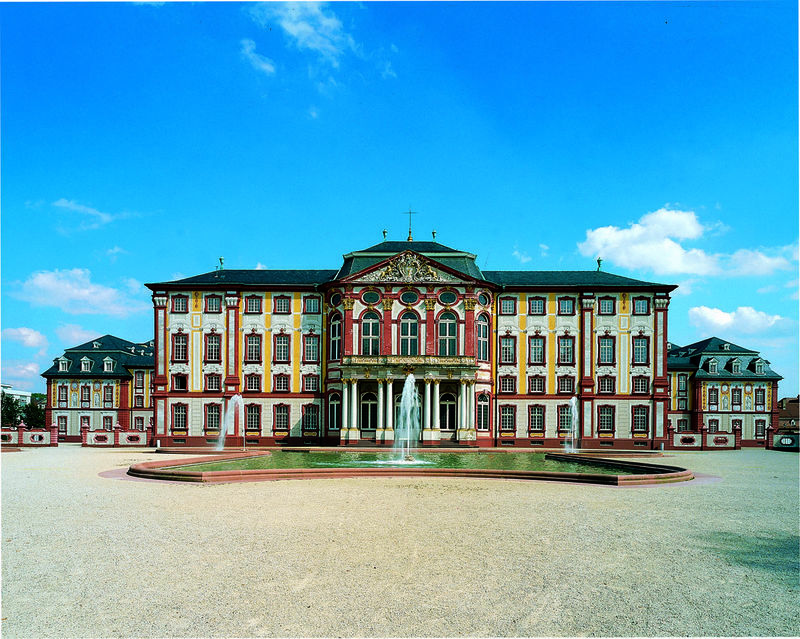 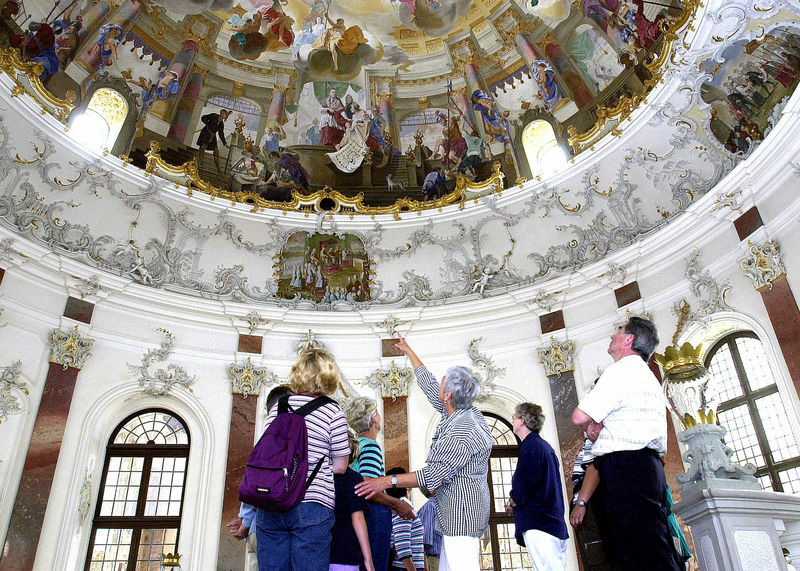 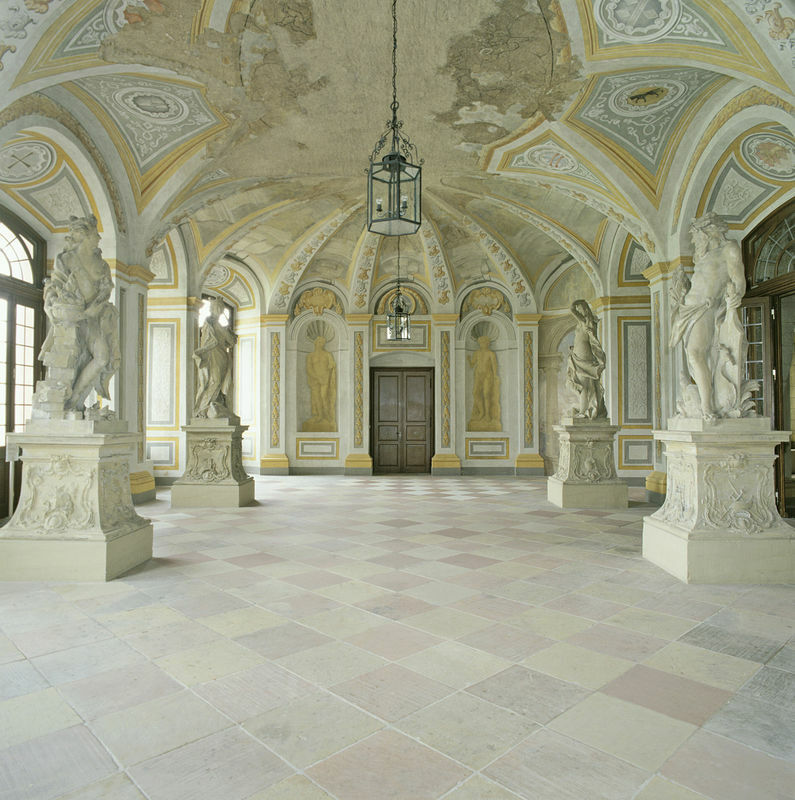 Bruchsal Palace is the only baroque palace of its kind in this part of Germany. 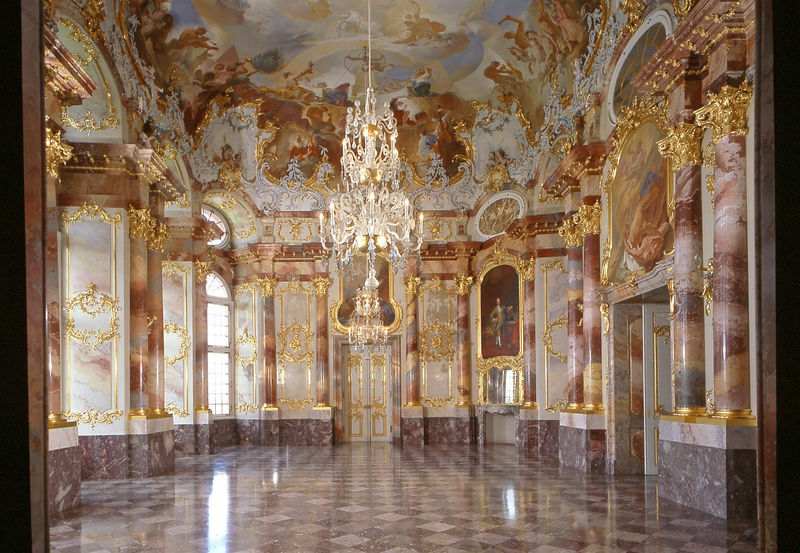 This is as dazzling an example of baroque architecture as you will find anywhere in the world: richly gilded stucco ornamentation, trompe l’oeil paintings, and gold dragons spouting water. 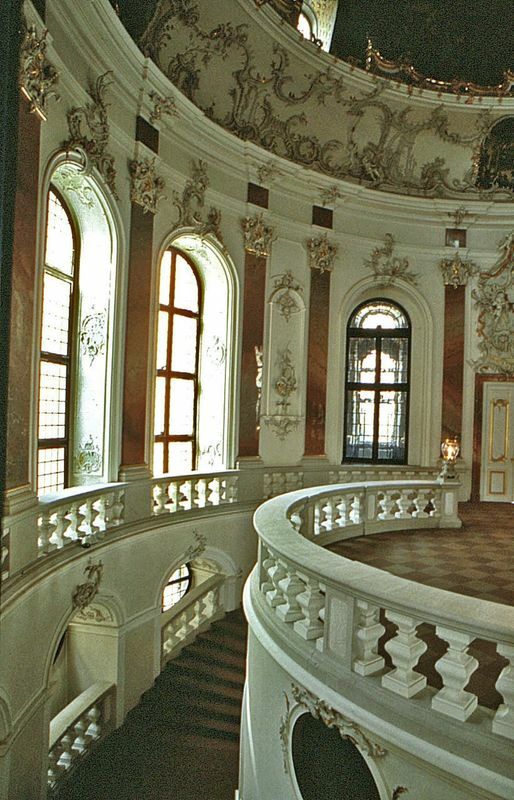 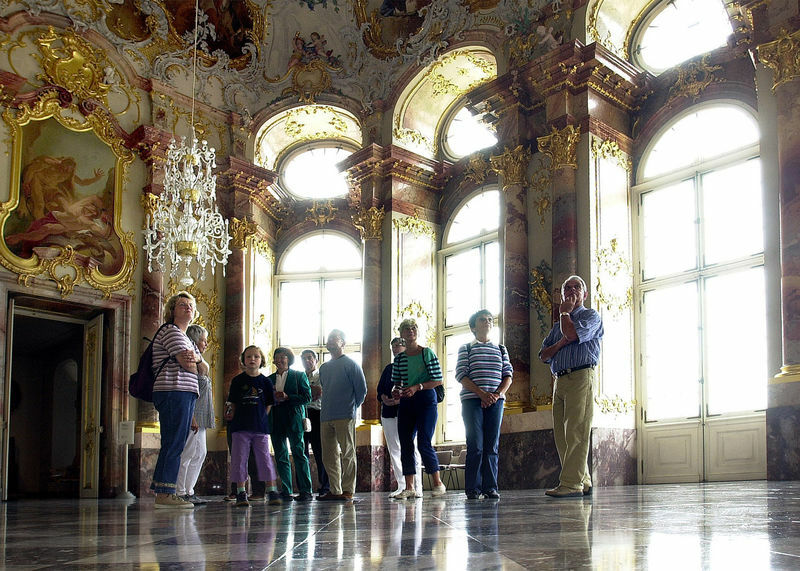 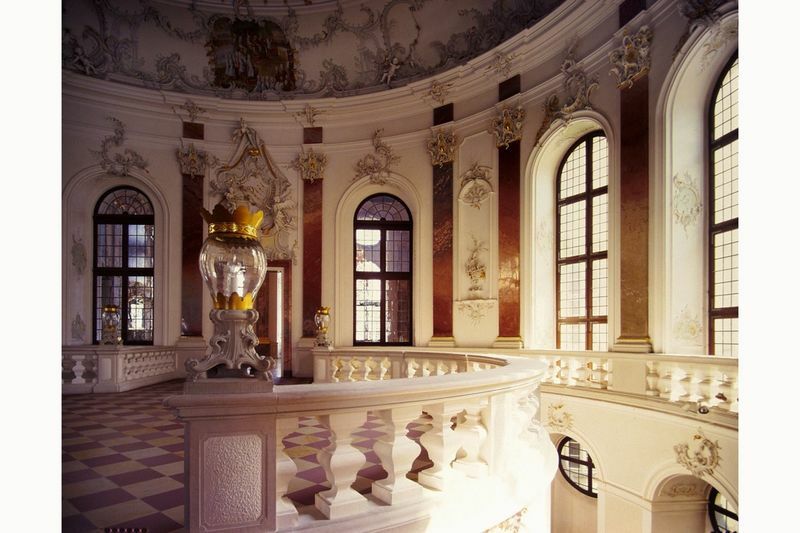 But, this palace is actually a complex of 50 buildings in this ornate style: that’s why it is so special. 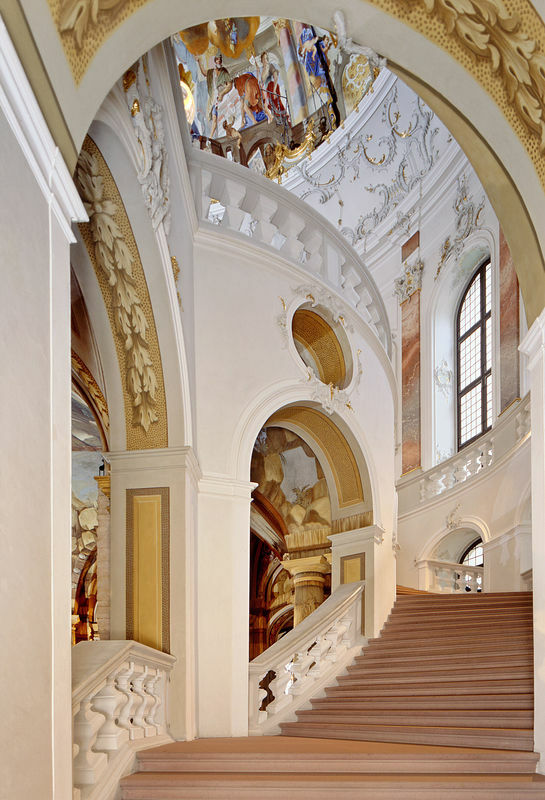 Building began in 1720 and the highlight of this ornate extravaganza of baroque design is the ingenious double stairway. 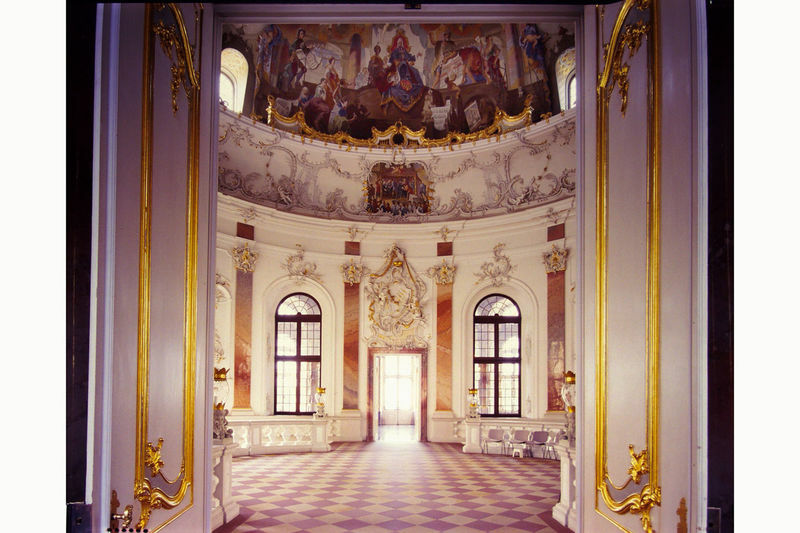 Also impressive are the grand reception halls, the Prince’s Hall and the Marble or Emperor’s Hall. 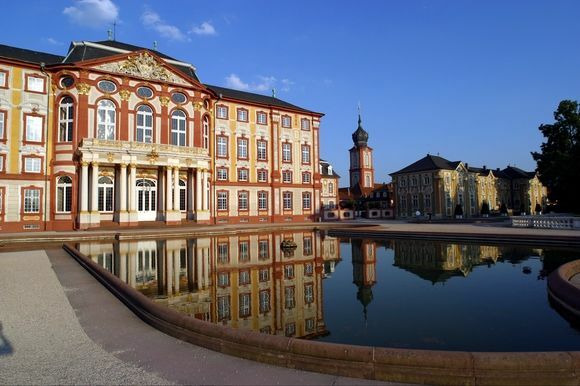 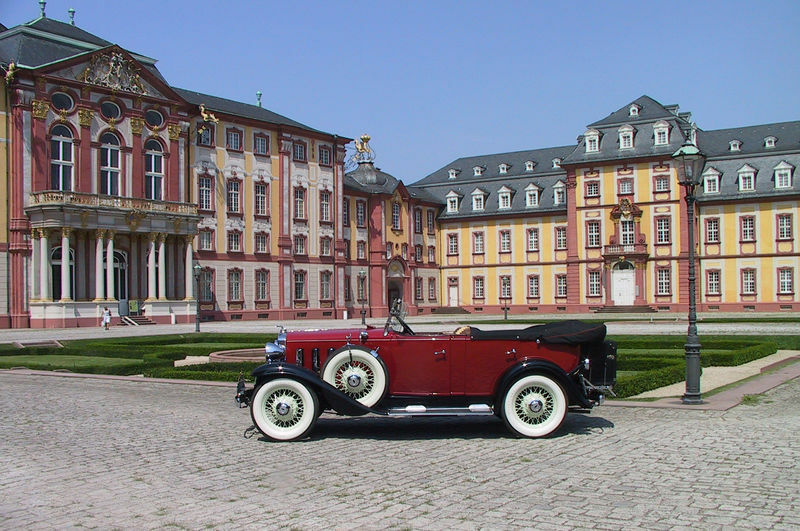 But, there is more to see, from the gardens to two small museums: the German Mechanical Musical Instruments Museum and the Museum of the City of Bruchsal.